to a dual-ear stereo headset. Driver's spoke, and we've listened. We’ve taken the premium qualities of our signature Elite headset and upgraded the experience to produce the new Elite Plus headset. 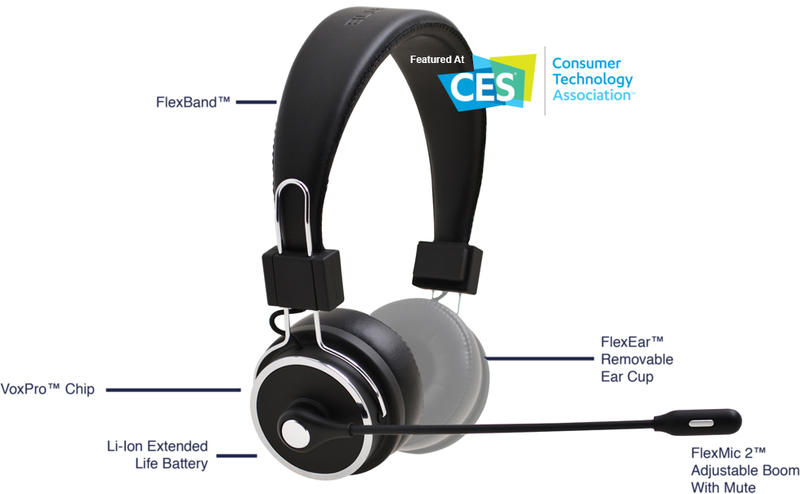 The Elite Plus is an industry first single to dual-ear convertible stereo headset featuring a lightweight body, our comfortable FlexBand™, a newly improved FlexMic2™ adjustable boom with mic, industry-leading play/talk time, and the best active noise cancellation technology available today. The Elite Plus delivers the most premium experience for on-the-road work and off-the-road relaxation. Pre-orders begin shipping May 1, 2019. 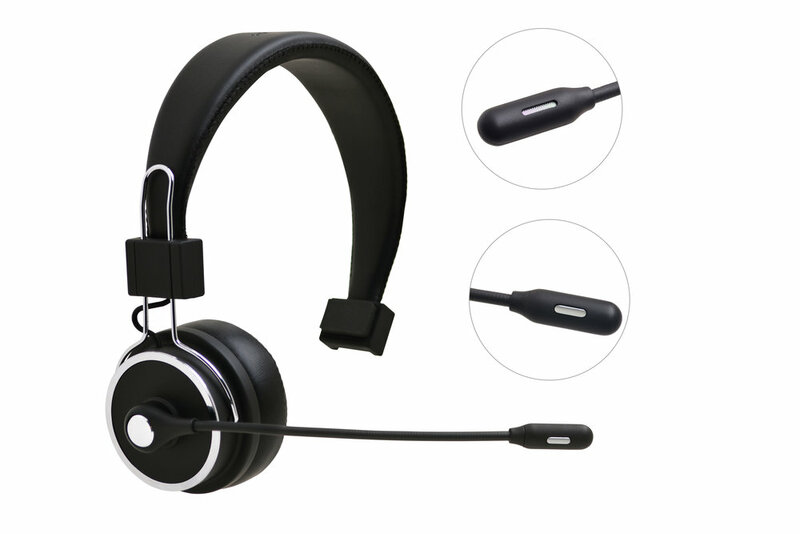 Easily converts from a single to dual-ear stereo headset. 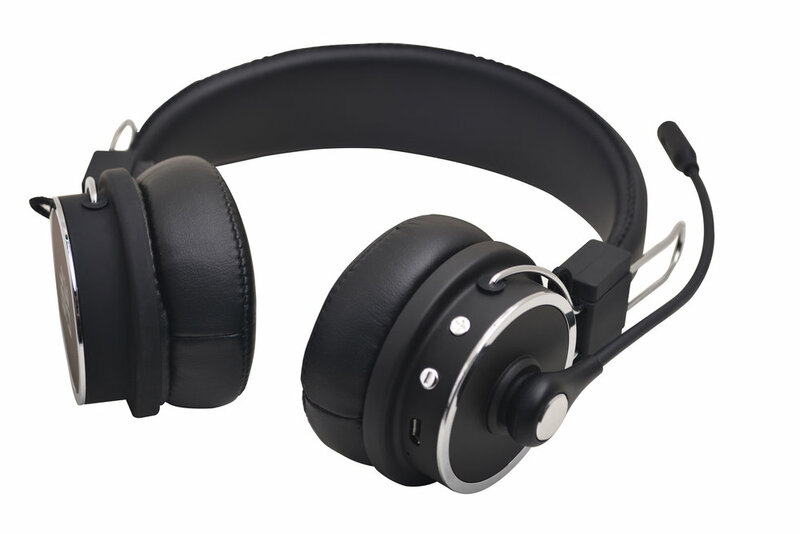 Industry leading advance noise cancellation. Flexible boom mic with mute function. Adjustable headband for premium comfort. 34 hours of talk time. 600 hours of standby time. Best in class customer service support. preorders@bluetigerusa.com if you have any questions. Blue Tiger Bluetooth headsets are covered by our “no ask/hassle free” lifetime replacement program, which covers your headset no matter what happens. Intuitive convertible design - easily transition from a single to a dual-ear stereo headset in seconds. Drive and talk safely with the single ear design and later relax to immersive rich media entertainment with the dual-ear experience. The most advanced Bluetooth™ processing chip. The VoxPro™ Chip is fully featured with the industry-leading noise cancellation technology, multi-media playback, and the ability to pair with multiple devices simultaneously. Flexible headband wrapped in premium protein leather with an alloy core allowing for a perfectly comfortable fit. With 270° rotation and a rugged armature, the FlexMic 2™ allows you to place the microphone exactly where you need it. A larger answer/end button has been enhanced for reliability and convenience. The latest highly powered battery extending battery life to 34 hours of play/talk time and up to 600 hours of standby time. Be the first to get the new Elite Plus convertible headset. Reserve now and get the Elite Plus before it officially launches in retail. Pre-orders begin shipping May 1, 2019. Sign up to receive Blue Tiger news and updates.